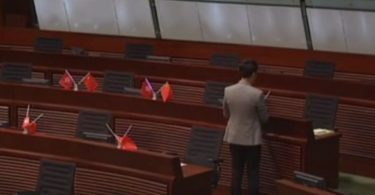 Raphael Wong Ho-ming, vice-chairman of the League of Social Democrats, was assaulted by protesters outside the LegCo building on Wednesday morning, Apple Daily reports. Raphael Wong. Photo: Apple Daily. The security guard on site called the police. 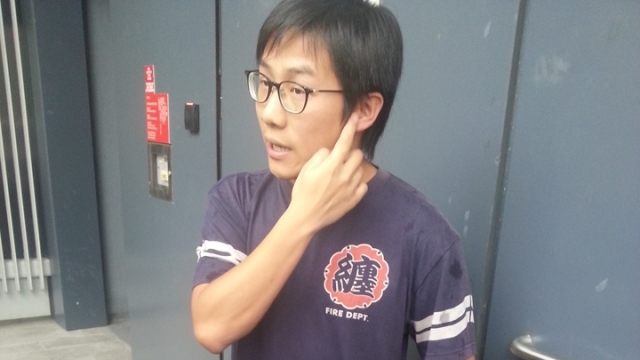 An ambulance arrived but Wong refused to be sent to hospital. The police listed the incident as a case of wounding, though no arrest was made. 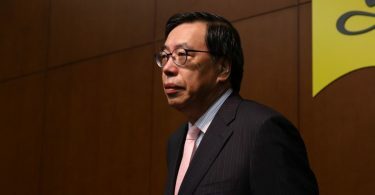 Wong told the newspaper that he was observing protesters from afar when someone approached him and started shouting insults. They punched and kicked him, leaving a shoe print on his trousers.